Pillow case is made of a durable all cotton percale/woven material. Fits a standard twin size pillow. 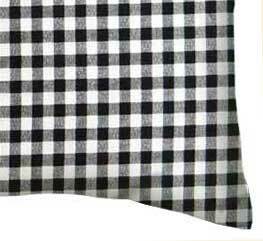 Features a black and white gingham check print.